Asun López-Varela Azcárate of the Department of Filolog’a Inglesa II, Facultad de Filolog’a Universidad Complutense Madrid, conceived, organized, and directs the translation of the Victorian Web into Spanish and French. Her research includes multimodal social semiotics, comparative cultural studies, comparative literature, and the use of hypermedia technologies in education. 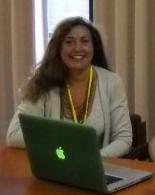 She is a member of http://www.innovacioneducativa.net and The European Study Group of 19th Century American Literature and has taken part in projects such as UCM Guías de Lectura or he Annual Fatih University Conference on Literary and Cultural Studies in Istanbul. (Ed.) Cultural Scenarios of the Fantastic. Monographic issue. CLCWeb: Comparative Literature and Culture 10.4 Purdue University Press, Dec. 2008 ISSN 1481-4374.
with Mariana Net (Eds.) Real and Virtual Cities: Intertextual and Intermedial Mindscapes. Bucharest: Univers Enciclopedic, 2009 ISBN: 978-973-637-194-3. “Experiencias innovadoras de formación combinada (b-learning) en Filolog’a Inglesa. ” In Roberto Carballo y Paloma Fernández (Eds.) Metodolog’as y Experiencias de Innovación Educativa: 20 experiencias para renovar los espacios de aprendizaje en la Universidad. Grupo de Innovación Educativa acción-investigación/responsabilidad/iniciativa y recursos virtuales. Universidad Complutense Madrid, 2007 ISBN 978-84-611-8978-6. “Lecturas interculturales en el aprendizaje de las literaturas ” In Pilar Garc’a Caicedo (Ed.) Enseñanza virtual y presencial de las literaturas Granada: Grupo Editorial Universitario, 2008 pp. 69-103 ISBN: 978-84-8491-837-. “Posthuman Inscriptions & Humachine Environments: Blogs and Visibility in the Web ” En Kiene Brillenburg Wurth (Ed.) Virtualisms: Literature as an Interface of New Media Technologies. Fordham University Press, forthcoming. and Steven Tötösy de Zepetnek. "Intermediality in Contemporary Culture Practices and Education." In Freda Chapple (Ed.) Culture, Language & Representation. In Intermediality. Cultura, Lenguaje y Representación. Revista de Estudios Culturales de la Universitat Jaume I. ISSN: 1697-7750 6 (May 2008): 65-82. “Studies on Intermediality as Intercultural Mediation ” European Communication Research and Education Association (ECREA) 2nd European Communication Conference Barcelona 2008, 25-28 november 2008. ISBN: 978-84-490-2570-6.